BSNL has installed Quality Telecom Network in the country & now focusing on improving it, expanding the network, introducing new telecom services with ICT applications in villages & winning customer's confidence. Today, it has about 43.74 million line basic telephone capacity, 8.83 million WLL capacity, 72.60 million GSM capacity, 37,885 fixed exchanges, 68,162 GSM BTSs, 12,071 CDMA Towers, 197 Satellite Stations, 6,86,644 RKm. of OFC, 50,430 RKm. of micro wave network connecting 623 districts, 7330 cities/towns & 5.8 lakhs villages . Qualification : The applicant must possess a B.E./B. Tech. degree from recognized Engineering College/University in anyone of the following disciplines. Qualification : The applicant must have Three years Engineering Diploma in anyone of the following disciplines i. Electronics ii. Electronics & Communication iii. Computer Science iv. Information Technology. Eligible and interested candidates can apply in the prescribed format, which can be downloaded from the organization official website www.jharkhand.bsnl.co.in and sent the “Application form” complete in all respects should be sent by Registered / Speed post or by hand to the AGM (HR), O/o the CGM Telecom BSNL, Jharkhand Telecom Circle, ARTTC Building, Near Jumar River, HB Road, Ranchi – 835217 and will be received upto 1700 hours of 31.08.2015. 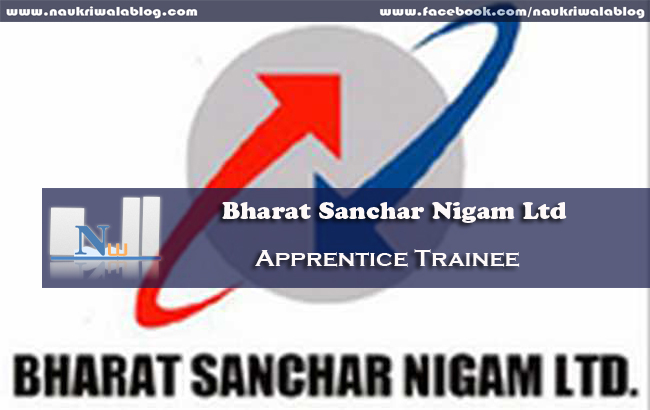 The envelope containing application form should be marked “Application for Graduate / Diploma Apprentices in BSNL. Application received after 31.08.2015 will not be entertained or considered and BSNL will not be responsible for Postal delay if any.